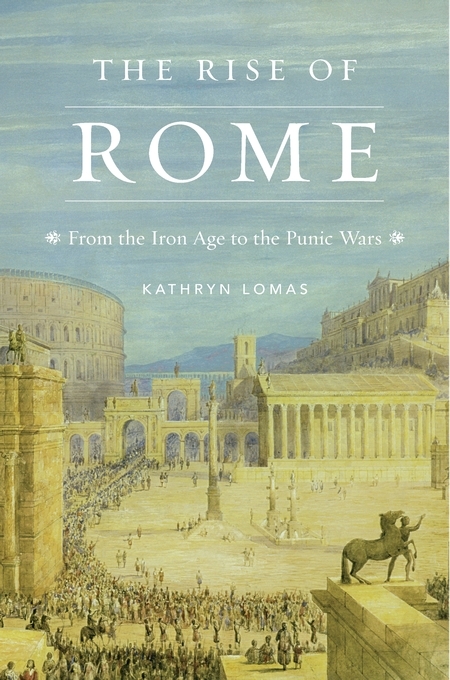 Kathryn Lomas, The Rise of Rome: From the Iron Age to the Punic Wars, Cambridge [MA] - Londres, 2018. By the third century BC, the once-modest settlement of Rome had conquered most of Italy and was poised to build an empire throughout the Mediterranean basin. What transformed a humble city into the preeminent power of the region? In The Rise of Rome, the historian and archaeologist Kathryn Lomas reconstructs the diplomatic ploys, political stratagems, and cultural exchanges whereby Rome established itself as a dominant player in a region already brimming with competitors. The Latin world, she argues, was not so much subjugated by Rome as unified by it. This new type of society that emerged from Rome's conquest and unification of Italy would serve as a political model for centuries to come. Archaic Italy was home to a vast range of ethnic communities, each with its own language and customs. Some such as the Etruscans, and later the Samnites, were major rivals of Rome. From the late Iron Age onward, these groups interacted in increasingly dynamic ways within Italy and beyond, expanding trade and influencing religion, dress, architecture, weaponry, and government throughout the region. Rome manipulated preexisting social and political structures in the conquered territories with great care, extending strategic invitations to citizenship and thereby allowing a degree of local independence while also fostering a sense of imperial belonging. In the story of Rome's rise, Lomas identifies nascent political structures that unified the empire's diverse populations, and finds the beginnings of Italian peoplehood.